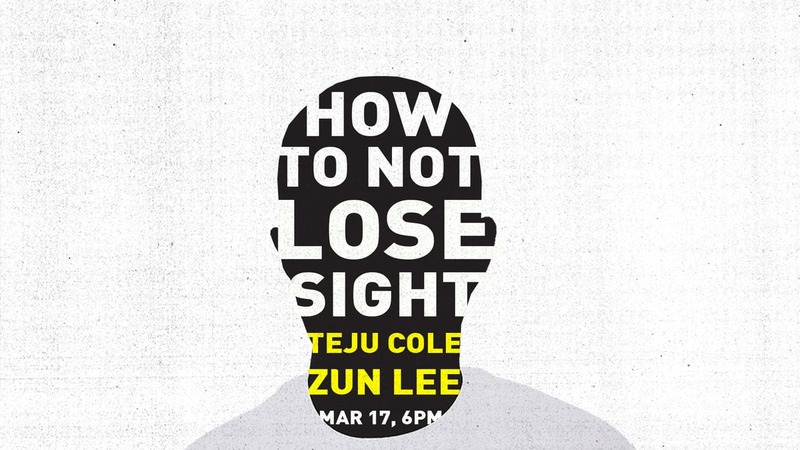 Join us for an evening with Teju Cole (writer, photographer, and critic at The New York Times Magazine) and Zun Lee (photographer, physician, and educator) as they reflect on their itinerant and polymathic careers. Cole and Lee will trade their favorite photographs and examine how the production and consumption of images shape conversations about the intersections of visual culture, social justice, and artistic practice. ZUN LEE is an award-winning Canadian photographer, physic, an and educator. He was born and raised in Germany and has also lived in Atlanta, Philadelphia, and Chicago. He is the current Art Gallery of Ontario Artist in Residence and a 2015 Magnum Foundation Fellow. His focus on the importance of quotidian Black life has led to publications and mentions in The New York Times, The Wall Street Journal, TIME, The New Yorker, HuffPost, MSNBC, Washington Post, Forbes, and Smithsonian Magazine. His exhibition Father Figure: Exploring Alternate Notions of Black Fatherhood brings into focus the narratives of real fathers as caretakers, interrogating and dispelling stereotypes of Black masculinity and absent fathers. TEJU COLE was born in the US in 1975 and raised in Nigeria. He is the author of two works of fiction: Every Day Is for the Thief, which was named a Book of the Year by The New York Times; and Open City, which won the PEN/Hemingway Award. His most recent books are the critically acclaimed essay collection Known and Strange Things and the synthesis of lyric and photography, Blind Spot. He is Distinguished Writer in Residence at Bard College and the photography critic for The New York Times Magazine.